Choosing to use complementary therapies, of course, is not usually an either/or option. Most people who use such treatments do so alongside medical treatment and you may even find that your doctor has one or more complementary therapists, such as a homeopath, acupuncturist and so on working at the surgery. Turning to complementary therapies as a way of solving problems with your orthodox doctor is rarely a good reason to go complementary. As someone with a chronic illness you are bound to have some long-term contact with your doctor. So, unless you have decided to go the whole hog and reject orthodox medicine altogether, it is worth making an effort to get your relationship on a reasonable footing. If communication between you and your orthodox doctor leaves something to be desired, try to think of ways in which you can improve it, for example by arranging an extra-long appointment to find out exactly what you want to know about your condition. 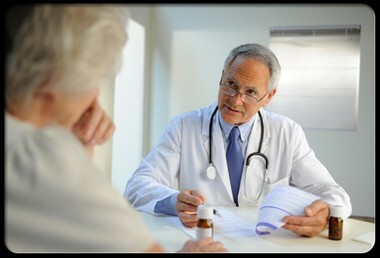 If you and your doctor really cannot get on it may be worth changing your doctor. Similarly, if you are worried about the side effects of any drugs you have been prescribed it is worth trying to sort this out directly with your doctor. You should never just suddenly stop taking drugs prescribed for heart disease as it may be dangerous. As for the claim that complementary therapies are natural and therefore gentle, it is worth making the point that some alternative medicines, such as herbs, have just as powerful effects as synthetic drugs. They should be prescribed and used with extreme care. For this reason it is always better to seek the help of a qualified practitioner rather than trying to treat yourself. Finally, it has to be said some alternative practitioners can be just as, or even more, dogmatic in their approach as the most intractable orthodox cardiologist. None of this is intended to dissuade you from seeking out complementary help. Rather, it is intended to help ensure that you approach such therapies with the same informed eye you would (hopefully) apply to any form of treatment.